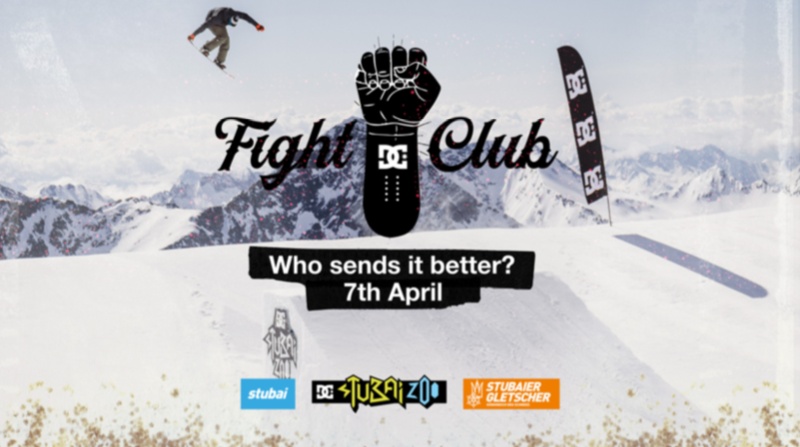 DC will be hosting DC Fight Club at the Stubai Zoo park, with two teams of three will be going head to head but with a slight twist, you get to decide the tasks that the teams have to tackle and they are offering a chance to join one of their teams. Registration is open till April 3, 2019. Press Release: Just in time for the opening of the Spring Sessions, Sebbe de Buck, Justin Fronius and his DC colleagues conquer the DC Stubai Zoo on the Gaiskarferner. DC Fight Club – that means two teams of three battle each other for big prizes – fun, action & party included. And best of all: you determine the tasks that the teams have to tackle and you can apply for one starting place per team! Free BBQ, Sound, the inauguration of the «The Debate» set-up and a Goodie for Trick Session for everyone round off the kick-off in the DC Stubai Zoo on April 7th. From April 10th the photos and videos of the two teams will be ready for voting. Details will follow soon. battle will be rewarded with DC Goodies, lift passes, hotel (April 5-7th) and food vouchers for the weekend. Registration is open until April 3rd, 6pm.